sterling silver jewellery york fashion jewellery Fashion Jewellery: Search By Type Sterling silver jewellery range of Fashion and Danon jewellery. 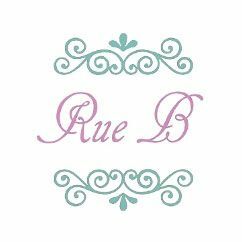 Welcome to Rue B's Fashion Jewellery Range. Narrowed down into categories for your convenience, you will find everything you could want in our massive collection of fashion earrings, necklaces and bracelets. We recommend our fashion jewellery to everyone because it is beautiful, durable, easy to look after and affordable. We will always ensure that Rue B fashion jewellery is suitable for even the most sensitive skin, and as such our fashion range is composed of hypoallergenic plain white metal alloys plated with silver, rhodium, gold or rose gold, and contains absolutely no nickel. Our entire range is affordable and is beautifully presented in our signature Rue B gift wrapping. We take pride in curating our fashion jewellery collection and work with leading designers to provide you with a collection that is contemporary, fashionable, elegant, fun and, most importantly, wearable! If you're looking for fashion earrings we have almost one thousand pairs in many different styles, most notably drops, hoops and studs. We have a pair of earrings for everyone: cute and quirky; contemporary and modern; mixed metal; rose gold; colourful; geometric; minimalist; statement; simple; bridal; pearl and floral! We also have a huge range of fashion jewellery necklaces and pendants in many different lengths and designs. Popular for Summer 2018 are our colourful enamelled necklaces, along with our bestselling pieces that never go out of style! Another huge jewellery trend for Summer 2018 is long necklaces, perfect for taking you from day to evening on warm sunny nights, and here at Rue B we have over three hundred long necklaces for you to choose from. Rue B fashion bracelets and bangles is an expanding collection and we have many styles, from dainty bracelets to chunkier statement pieces. An ever popular choice for a touching gift is our collection of affirmation bracelets, with beautiful and meaningful quotes delicately embossed onto a contemporary style bangle. Choker and collar fit necklaces are as stylish as ever. Once considered a styling touch reminiscent of the 90's, this style has been brought back with a modern twist, and we have a growing collection right here! Last but not least is our beautiful collection of brooches and hat pins which are a simple but genius way of jazzing up any outfit. Keep up with all the latest Rue B news by following us on Facebook, Instagram and Twitter.